Are you looking to find the best mobile casinos? If so, great! It’s not as hard as you might think. That being said, the advice most people might give you can backfire and I’m going to tell you why. The first thing you’re likely going to be told is, “do your research.” What they mean by this is that you should read up on what people are saying on the internet. They’re not exactly wrong; the internet can be a great way to learn about a new product or service you might not be familiar with. The problem in this instance is that it doesn’t take money into account. If you do a quick Google search for “best mobile casino” or “mobile casinos” you’ll find a multitude of gambling portals full of information relating to this particular subject. They often have reviews of mobile casinos and rating systems and articles insisting that these are indeed the very best mobile casinos on the market. What they won’t tell you is that in exchange for pointing you in the direction of the “top mobile casinos,” these webmasters are being paid. This is not to suggest that ALL of these guides are simply shills for a select group of casinos. There are exceptions to every rule. However, if you take a closer look you may well discover that the same casino properties are being promoted throughout the site, no matter the topic. There’s nothing wrong with affiliate marketing. But consumers need to be aware of it so that they can make informed decisions. So, you may ask, how should you go about finding what are truly the best mobile casinos? The answer lies in an ancient legend. There is a story that talks of a time when common, everyday people could access the wisdom of the gods. But they chose to ignore it. This frustrated the gods who then decided that they must make this gift more difficult to find in the hopes that the dedicated souls who discovered it would appreciate it more. The gods considered many options: burying it deep within the earth, or sea, or atop the highest mountain. Ultimately each of these ideas were dismissed for still being too easy to find. The wisest of the gods then suggested burying this wisdom deep within the people themselves. The gods agreed that they would never consider looking there. The same principle applies here. If you really want to find the best mobile casino, start by looking within yourself. 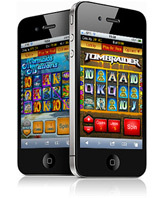 These days, any casino worth playing at offers two things: free play and mobile gaming. All you need to do is find the one that suits you best. Before signing up as a real money player, invest a bit of time and play for fun. There’s no commitment. If you don’t like the games or the payouts or the service, simply move onto the next. Do this as often and for as long as you like. Once you’ve found the casino you like the best, register for real play on their mobile platform. This is the easiest and most reliable way to discover a great mobile casino. Many people believe that online gambling, including mobile casino gambling, will be legal throughout the United States by 2020. Online poker will be accepted first. Currently it is only legal in New Jersey, Nevada, and Delaware. Over the next several years it will very likely expand as it becomes more widely accepted. Because of this, it is highly probably that the same people building the mobile games of today will be the ones developing the mobile casinos of tomorrow. In fact, this has already begun to a certain extent. Zynga, one of the most widely recognized social games launched Zynga Plus Casino. This was the first real-money gaming site in the United Kingdom. This product was developed in partnership with bwin.party. Bwin.party is a gambling company based in Gibraltar. Bwin.party’s revenues were reported being as high as $1.05 billion in 2012. Unfortunately, due to the stringent anti-gambling statutes and interstate regulations in the United States, Zynga opted to keep their doors closed to US residents. The biggest barrier to mobile casino gambling in the United States is the Unlawful Internet Gambling Enforcement Act. This bill, enacted in 2006, put an end to all the major online casino, sportsbooks, and online poker providers operating within the US. Operators of prominent sites such as PokerStars and Full Tilt Poker were indicted on charges of money laundering and bank fraud for conducting online transfers of funds to and from players’ accounts. Ultimately, PokerStars along with two additional defendants cut a deal with the prosecution, which cost them more than $731M. Contrary to popular belief, the UIGEA doesn’t target online casino operations directly. Instead, the bill targets financial transactions that enable gambling. The result was still a massive blow to online and mobile casino gambling. After all, if no payment providers are willing to violate the UIGEA, then the casinos have no means to accommodate American players. The UIGEA, however, doesn’t apply within the borders of states that already offered legalized forms of gambling, or that had plans to offer it down the road. This isn’t without its own set of complications though. Businesses running licensed online casinos and/or poker rooms must operate solely within that given state. It remains illegal to transfer of gaming funds across state lines. These qualifying states are now busily vying to win your gambling dollars. 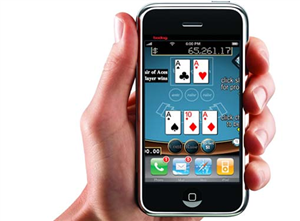 One of the best ways for them to accomplish this is to pay particular attention to mobile casino gambling. Operators know how busy people are these days. They also realize that in order to get players’ attention, they need to make their products available for on-the-go play. If you visit some of the biggest New Jersey gaming sites you will notice that they either offer a mobile casino gambling product already, or, like Caesars Casino, it’s “coming soon.” As more states move towards softening gambling laws, and following the examples of Delaware and Nevada, it only stands to reason that the mobile casino gambling industry will be paying very close attention.